Key Difference: Magnification is the process of enlarging an object by using an optical instrument. In magnification, an object that is small in size is usually enlarged using devices such as magnifying glass or microscope. Resolution is the term that is used to describe the crispness and detail of an image. In optics, it is most commonly described as the ability of an imaging system to resolve detail in the object that is being imaged. Magnification and resolution are important concepts that are used in optics and also play a huge part in daily lives. These concepts are vital in fields such as astronomy, astrophysics, navigation, biology, physics and digital imaging. In daily lives, where a person can come across both these terms together is during photography. Though these terms are used simultaneously and one concept plays a greater part in the other, they differ from each other in various ways. Magnification is the process of enlarging an object by using an optical instrument. In magnification, an object that is small in size is usually enlarged using devices such as magnifying glass or microscope. These play an important role in biology, where small microscopic cells, which otherwise would be invisible to the naked eye, can be viewed using microscopes. 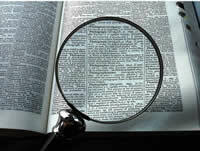 Magnification can also be used to enlarge an image or object that is far away to make it seem closer to the viewer. This is done by using objects such as telescopes. This device is important for astrology and astrophysics, where an object to be viewed is in space and really far away. Magnification is not only limited to the processing of enlarging something in appearance and not in physical size, but also refers to quantifying the enlargement of an object by a calculate number (i.e. 2x, 3x). This is known as the zoom feature in many cameras. If the number is less than one it is referred to as ‘minification’ or ‘de-magnification’. Usually, magnification is done in order to see the relatively small details that are a part of the picture that may not be visible in the original size, but scaling of the image does not change the perspective of the image. Various techniques could be used in order to enlarge an image including increasing resolution, using microscope, printing techniques, or digital processing. Magnifying is possible by using a concave glass which uses a positive (convex) lens in order to make things look big by allowing the user to hold them closer to the eye. These lenses are also used in creating eyeglasses to treat nearsightedness and farsightedness, along with magnifying glass. A telescope uses a large objective lens to create an image of a distant object and then a smaller lens, allowing the viewer to examine the image closely. A microscope uses the opposite, where it uses a small lens and then a bigger eyepiece lens for the viewer. Optical magnification is the ratio between the apparent size of an object (or its size in an image) and its true size, and thus it is a dimensionless number. There are two ways to measure magnification: linear and angular. Linear magnification is used to real images, where size means a linear dimension and is the image is measured in millimeters or inches. Angular magnification is used for optical instruments where the linear dimension of the image seen in the eyepiece (virtual image in infinite distance) cannot be given, thus size means the angle subtended by the object at the focal point (angular size). A method of calculating magnification and other optical properties is known as ray diagrams, which can help calculate factors such as magnification, object distance, image distance, whether the image is real or imaginary, etc. A water droplet is known as a simple magnifier in nature, where if a person looks through a water droplet, the image behind it seems magnified. Resolution is the term that is used to describe the crispness and detail of an image. While an image is magnified, they tend to blur and lose their detail qualities. Resolution is ability of an image to retain the image’s detail. Image with a higher resolution means more image detail, while lower resolution means less detail and more blurry image. In Physics & Chemistry: The act or process of separating or reducing something into its constituent parts: the prismatic resolution of sunlight into its spectral colors. In optics, it is most commonly described as the ability of an imaging system to resolve detail in the object that is being imaged. When a person views an object, the eyes does not actually see the image but the diffraction pattern that is created by light when it reflects off the object. The iris of the human eye works as a sharp edge to create diffraction. When two objects are looked upon closely, the diffraction patterns of the two objects tend to overlap and become blurred. If the diffraction of these objects can be sufficiently distinguished, they can be viewed as two different objects, but if they tend to overlap, they can be seen as one object. Resolution is the ability to distinguish into two separate objects. The resolution of a system is based on the minimum distance at which the two objects can be separated and distinguished as individuals. The resolution depends on the aperture of the instrument and the wavelength of the observed light. Resolution of digital images can be described in many ways including pixel resolution, spatial resolution, spectral resolution, temporal resolution and radiometric resolution. Pixel resolution refers to the pixel count in a digital image. Spatial resolution is how closely lines can be resolved in an image. Spectral resolution is the ability to resolve features in the electromagnetic spectrum. Temporal resolution is the ability of movie cameras and high-speed camera to resolve events at different points in time. While normal movie cameras can resolve 24 to 48 frames per second, high speed camera may resolve 50 to 300 frames per second. Radiometric resolution determines how finely a system can represent or distinguish differences of intensity, and is usually expressed as a number of levels or a number of bits.